Search Results for "blue whale"
Tourists watching the blue whale skeleton in the main hall of the Natural History Museum of London. 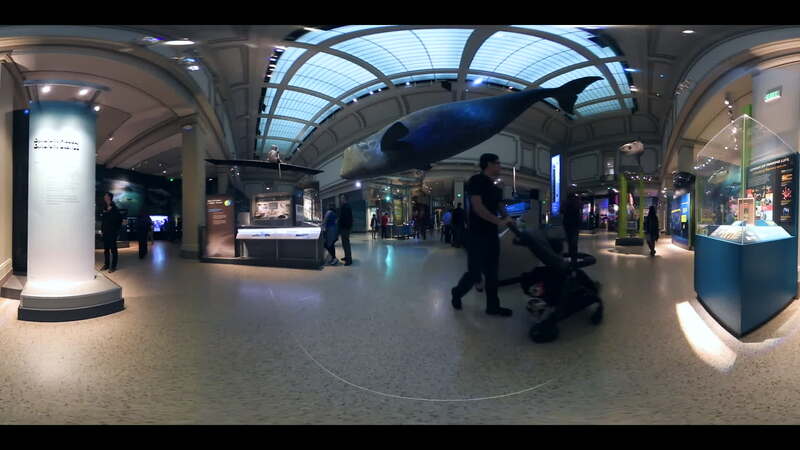 LONDON, UK - CIRCA SEPTEMBER, 2017: Interior view of Natural History Museum with the new whale skeleton and tourists.Slow motion. 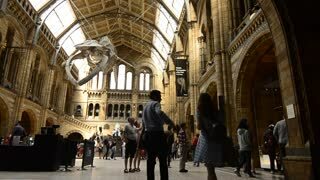 LONDON, UK - CIRCA SEPTEMBER, 2017:Interior view of Natural History Museum with the new whale skeleton and tourists, slow motion, 4k. The museum collections comprise almost 70 million specimens. LONDON, UK - CIRCA SEPTEMBER, 2017:The blue whale skeleton decorating the new Hintze hall in the Natural History Museum.The museum collections comprise almost 70 million specimens from all parts of the world. Slow motion180 fps. LONDON, UK - CIRCA SEPTEMBER, 2017:The blue whale skeleton decorating the new Hintze hall in the Natural History Museum.The museum collections comprise almost 70 million specimens from all parts of the world.Slow motion180 fps. Elevated view of the natural history museum, London. England. Humpback whale head on surfacing and blowing air (aerial). LONDON, UK - CIRCA SEPTEMBER, 2017: Interior view of Natural History Museum with tourists.The museum collections comprise almost 70 million specimens from all parts of the world. Slow motion. London, United Kingdom, June 2018. At the Museum of Natural Sciences in London, a skeleton of the huge blue whale in the entrance hall greets visitors in wonder. LONDON, UK - CIRCA SEPTEMBER, 2017:Interior view of Natural History Museum with the new whale skeleton. The museum collections comprise almost 70 million specimens. Low angle view of the natural history museum, London. England. Blue Whale (Balaenoptera musculus) sinking below ocean surface. Giant sea species swim in sea. Impressing large aquatic mammal. Underwater inhabitant in its natural habitat. Back view. Sri Lanka. Big Blue Whale (Balaenoptera musculus) swims against shore on background and shows its back above water surface for breathing. Gorgeous marine mammal in natural habitat. Back view. Sri Lanka. Aerial footage of a humpback whale and calf swimming in the clear blue waters off of the coast of the big island of hawaii. Part 5 of 5. Aerial footage of a humpback whale and calf swimming in the clear blue waters off of the coast of the big island of hawaii. Part 3 of 5. Aerial footage of a humpback whale and calf swimming in the clear blue waters near the coast of the big island of hawaii. Aerial footage of a humpback whale jumping in the clear blue waters off of the coast of the big island of hawaii. Aerial footage of a humpback whale and calf swimming in the clear blue waters off of the coast of the big island of hawaii. Part 1 of 5.